October | 2012 | Oh Happy Dae! 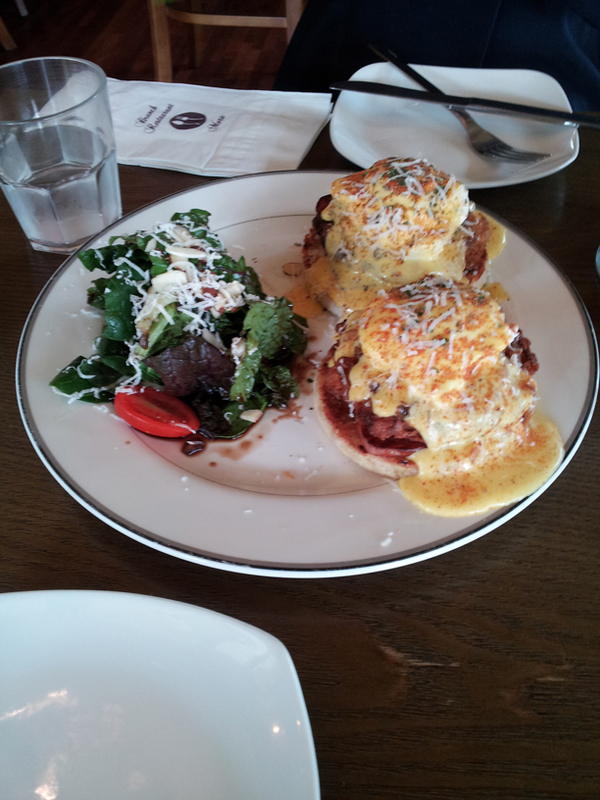 Posted in Daejeon, food	by Oh Happy Dae! Being so far from home, you tend to miss certain things. Food is definitely a big thing. I really like Korean food, don’t get my wrong, and these days I actually find myself wanting to eat kimchi (though I still can’t eat large amounts of it). Anyway, sometimes when you’re feeling down or just need a little pick-me-up it’s nice to eat comfort food. 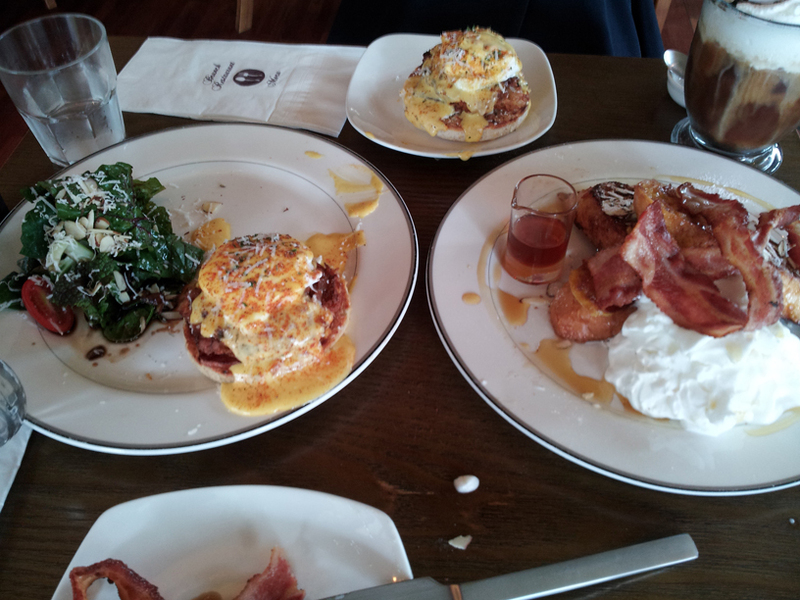 Moru cafe is just the right place. I’ve been there twice so far. I’d like to go more often, but I guess it wouldn’t feel as special. It’s darn good. Last time I went with my co-teacher and we shared our dishes: french toast and eggs, bacon (and a few things I forgot) on an english muffin. I can describe it thusly: nomnomnomnom! My french toast was heavenly. Made with fresh bread, topped with bacon (all the best things are), and very sweet. A hundred times better than anything I can whip up at home. 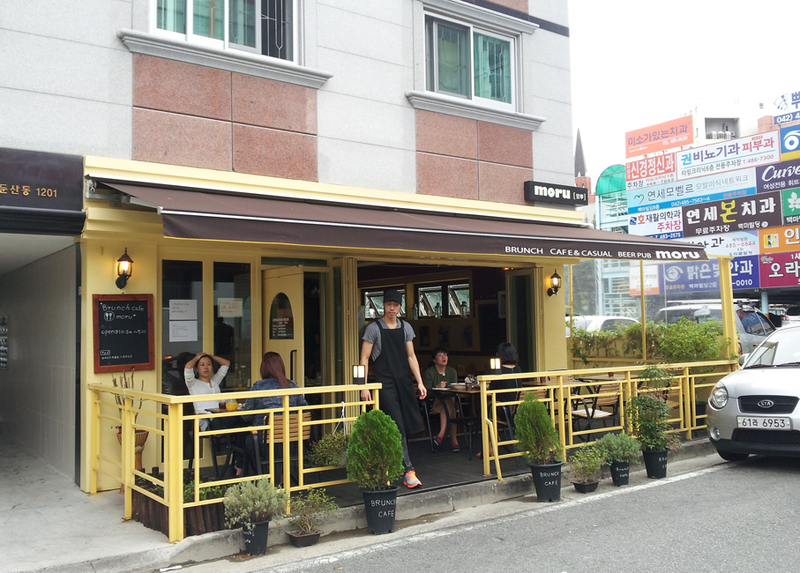 The dishes are all roughly 9,000 – 12,000 won – just an estimate, by the way. I can’t remember the exact prices (sorry). They also serve various coffee drinks and such. Last time I went was a Friday in the early afternoon. It’s a smallish place with around 10 tables inside and 3 outside. It’s also fairly popular. We timed it right and went when it was only about 1/2 full, but if you go on a weekend during mealtimes you may have to wait. They also do run out of certain food occasionally. The first time I went I couldn’t get my first choice because they didn’t have it. Still, if you plan on going before the late afternoon you shouldn’t have a problem. Getting there is easy. If you’re at Galleria Time World department store, use the underground crossing, and go the opposite side (as if you’re going to City Hall). Just a couple minutes up the street is a gas station, currently SK Oil but I’ve seen it change names already so it may someday change if you’re reading this in the future. Just cross through the gas station and it’s right behind it. Cute little place with a rather small porch. Order and prepare for delicious-ness. Posted in photos, Seoul	by Oh Happy Dae! I went with a few of my friends to Seoul last week to check out Comic World. I’ve been to my share of conventions in the past, so I thought it’d be interesting. I knew it focused on anime mainly, but even though I don’t watch it anymore I thought it’d be a good chance to take pictures. It takes place a few times a year at the Yangjae AT Center in Yangjae-dong. To get there you can transfer at Gangnam station and take the Yangjae line. 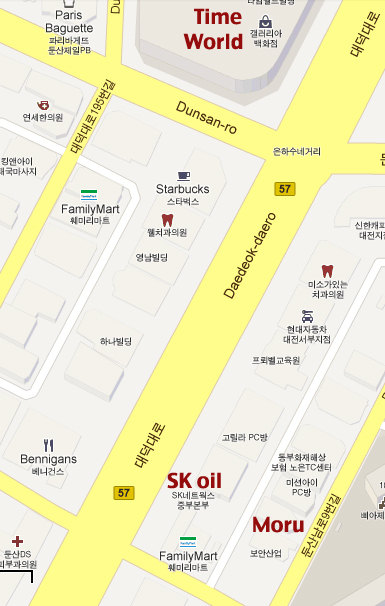 I believe the stop is 양재시민의숲 (Yangjae Citizens’ Forest), and the center is right out the exit. I wouldn’t call it a “convention” exactly. It’s more like a big cosplay gathering with an artists’ alley thrown in the building. Still, for a 4,000 won ticket it’s not a bad way to spend the afternoon. It only run it’s about 5:30 pm and I got there really late, so we didn’t spend lots of time there. I wanted to check out the artists’ alley, but my friends weren’t all the interested. We spent our time taking photos of cosplayers that caught our fancy. I did catch 3 Westerners cosplaying (Finn & Jake from “Adventure Time”, and a soldier), but that’s all I saw. I dunno if non-Koreans tend to participate, but it’d be cool.